Regulating the speed of an acoustic phonograph or gramophone is most important, and as for the reproducer and sound box (Back to Basics, part 1), the same basic principle applies on each machine. The principle of the method is that the faster the speed of the shaft, the more the centrifugal force throws the weights outwards. The control of this governs the revolutions of the machine. 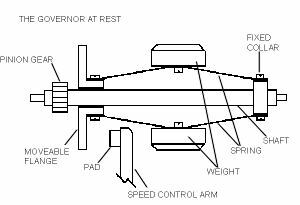 Each type of motor has its own designed governor. They are not interchangeable. 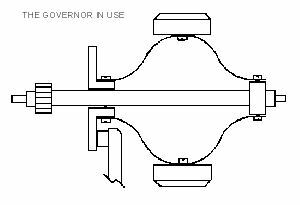 It is important that the weights and governor springs are as the original size and weight, and that when set up, they are balanced. The shaft should run freely in its bearings. The speed control flange should slide freely on the shaft. The control pad or pads should be lightly lubricated enabling them to slide smoothly on the flange. The method of adjusting the control pads varies on almost all motors. This normally involves a screw that adjusts through a level mechanism. All result in a fine movement of the pads, enabling the precise control of revolutions.